Made from the rare cupreata agave that grows only on the remotes mountain slopes of the Rio Balsas basin in Michoacán and Guerrero, Amores Cupreata is a joven mezcal produced in Mazatlan, Mexico. The label says this clear joven mezcal tastes like “slow dancing.” I have never tasted slow dancing, but would describe Amores Cupreata as smokier than their reposada and richer in taste. It tastes woody (but not Harrelson), bringing to mind a hike through the forest. It is also reminiscent of fresh pine needles from the floor of a Mexican nativity scene, and perhaps clove. There is a light aftertaste and no bite. It hits the cheeks and lightly touches the roof of the mouth, and delivers a distinct buzz to the forehead. 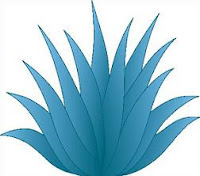 The company makes far less of this brand than their reposada, so it is hard to find in Mexico and even more so in the United States and other countries. (Only 600 bottles comprised the entire lot of the batch from 2016 that I sampled.) The only bar that serves it in San Cristobal del las Casas, Mexico, is Pan Optica, which was down to one bottle after I left yesterday.